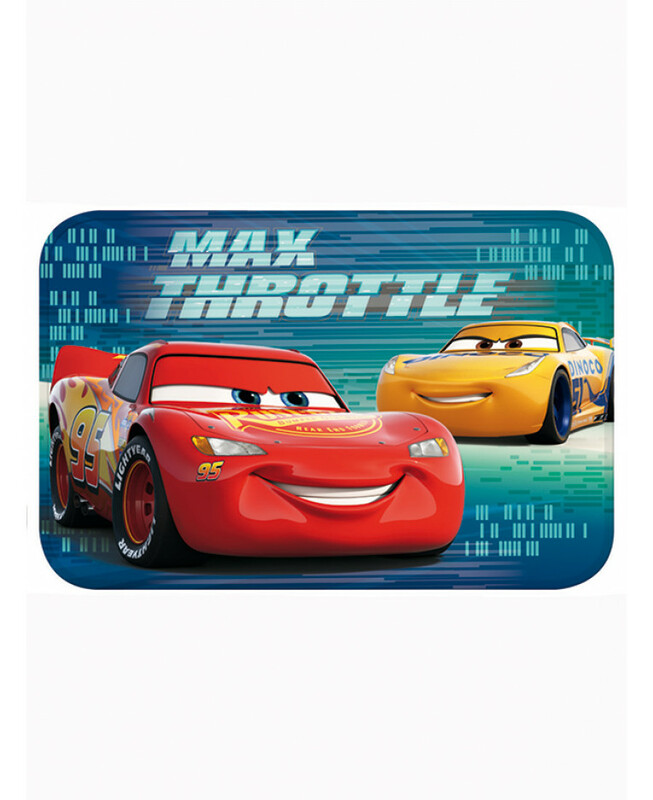 This Disney Cars floor mat makes a great addition to any Cars themed bedroom or playroom. 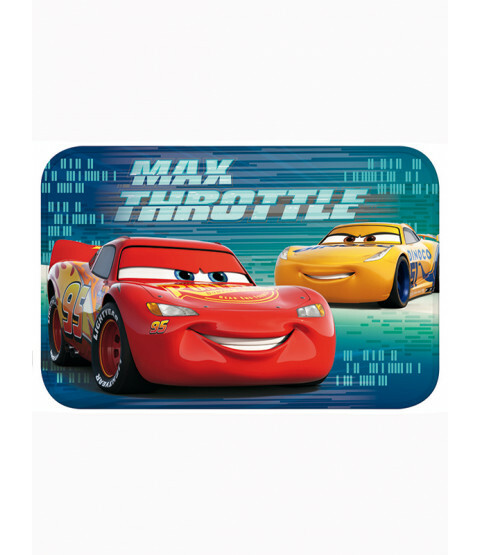 The cool mat features Lightning McQueen and Dinoco Cruz on a blue background and coordinates with other items we have available in our Disney Cars range. The mat feels soft and squidgy under-foot and also benefits from a non-slip backing.